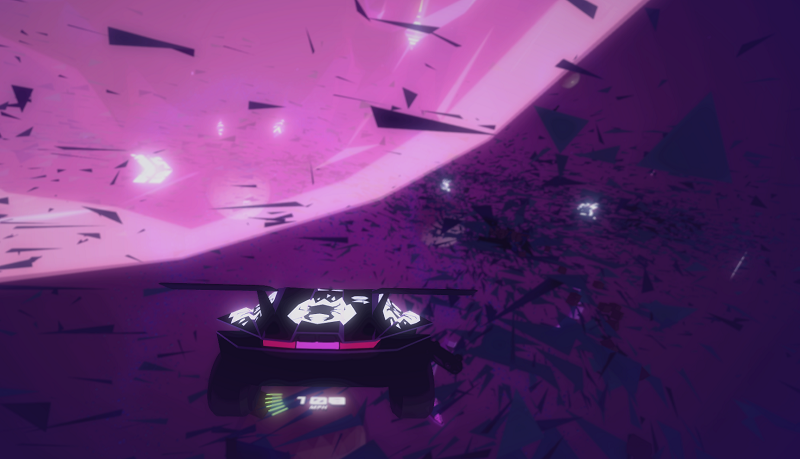 The year is almost over, but there are still a few games left to come out, including the trippy, mind-bending racer Drive!Drive!Drive! The premise is that you drive along multiple tracks at once, learning to feel the road beneath you, where it exists, on multiple levels at once. The Pittsburgh synth duo Zombi created the music for it, complimenting the saturated, low-res textures with some sizzling electronic vibes. Now all it needs are some red shells.